Here is a piece of awesome news for all you nurses with pending visa applications to the United States! A new Visa Bulletin has just been released, renewing the hopes of those who have been aiming to get to the United States for work for so many years. 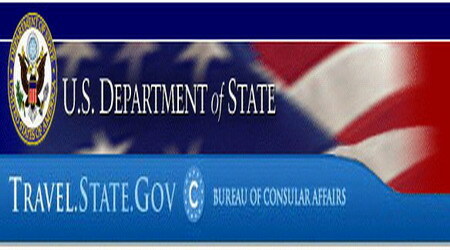 We all know how tiresome and frustrating the whole process can be, and while we cannot do anything about the situation, we can continue to prepare and equip ourselves to increase our chances of finding work in what has been dubbed by some as the “Promised Lands.” With this new bulletin, however, individuals who have sent in their applications and have been waiting for years might just see their dreams coming true. For more specific details on the bulletin, please click on the link above. For many Filipino nurses who are still waiting for that big break, ALLGEN can help you with your preparations for work in other countries such as the United States. This October 4, we will be holding another NCLEX-RN review program. You may have already heard about our innovative and proven review methods, which have satisfied many a Pinoy RN. More than this, however, we are offering an early bird discount to reviewers who will register on or before September 17. For only PHP15,000, reviewers will have access to unlimited review, together with all the technology and materials that ALLGEN has become known for. You can also visit our parent site for more information. 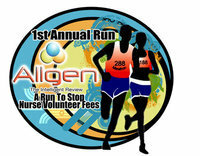 In light of the upcoming run that ALLGEN is sponsoring, we thought it appropriate to bring up the topic of volunteering. We all know that many nurses are offering their services as volunteers to hospitals and other health institutions. The sad truth is that majority of these institutions require nurse “volunteers” to pay a fee in order to serve. Note the use of quotation marks on the word volunteer. By definition, the word volunteer imparts the idea of free will. Merriam-Webster gives us the following descriptions. 1 : a person who voluntarily undertakes or expresses a willingness to undertake a service: as a : one who enters into military service voluntarily b (1) : one who renders a service or takes part in a transaction while having no legal concern or interest (2) : one who receives a conveyance or transfer of property without giving valuable consideration. Nowhere in the definition can you see any mention of money. Monetary compensation is not the essence of volunteering. Why then are “volunteer” nurses in the Philippines asked to pay to render their services? You may say that the intention of those nurses who volunteer are not that pure anyway. Some – if not many – nurses volunteer simply because they need the experience in order to get accepted to higher paying jobs outside of the country. But, did you know that if you render volunteer service while not a registered nurse, it won’t be counted anyway? That is beside the point, though, volunteerism ought to be a pure act. On the one hand, hospitals and health institutions accepting volunteer nurses ought to willingly accept the services of those who offer – without any thought for the additional income that can be had. On the other hand, nurses ought to willingly offer their services without making “experience for their resume” the primary objective. 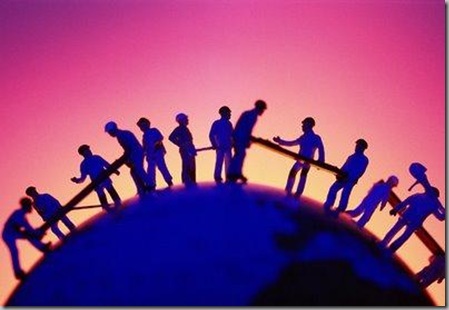 Isn’t helping others without asking anything in return the spirit of nursing anyway? What do you think about volunteering and volunteer fees? Do you have any personal experience? Do share them with us! Keeping one’s body healthy is just as important as keeping one’s mind sharp. These days, the most popular activity to stay fit is to run marathons. Even better, these days, marathons are held to support a greater cause. We at ALLGEN are joining the bandwagon to highlight a cause that is close to a nurse’s heart: to stop nurse volunteer fees. 5F T.M Kalaw Center Bldg. T.M Kalaw Ave.
Make good use of your time, join us in our run for a cause! GIVEAWAY BAG shall be given to first 200 registrants who will pay immediately. Apple revolutionized the way we listen to music with the iPod series. Since its launch many years ago, the iPod has become the most coveted mp3 player in the market. If you’ve wanted your own iPod but never had the chance to get one for yourself, this could be your opportunity! ALLGEN: The Intelligent Review is offering a FREE iPod Shuffle to a lucky NCLEX Reviewer this August! The next batch of reviewers will begin the program on the 9th of August. 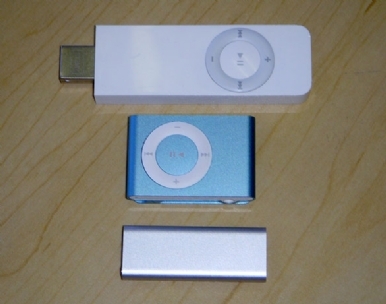 On top of receiving all the benefits of ALLGEN’s NCLEX Review Program, one of the 20 students will receive an iPod Shuffle. Can it get any better than that? ALLGEN’s Review Program has been proven to be one of the most effective in existence today. With a tried and tested method, plus unlimited access to online review materials, it is no wonder that ALLGEN students achieve the goals they have set for themselves. Don’t miss out on this opportunity. Grab that phone now! Taking the NCLEX is not much different from taking any other kind of qualification exam. It may be tougher than other types of tests, but the bottom line is that it is a test, and whether you like it or not, you are bound to make some mistakes. Awareness of the incorrect practices that are commonly engaged in by test takers will help you increase your chances of passing the NCLEX, though. As with most anything, knowledge and awareness will give you the chance to change your strategy as needed. 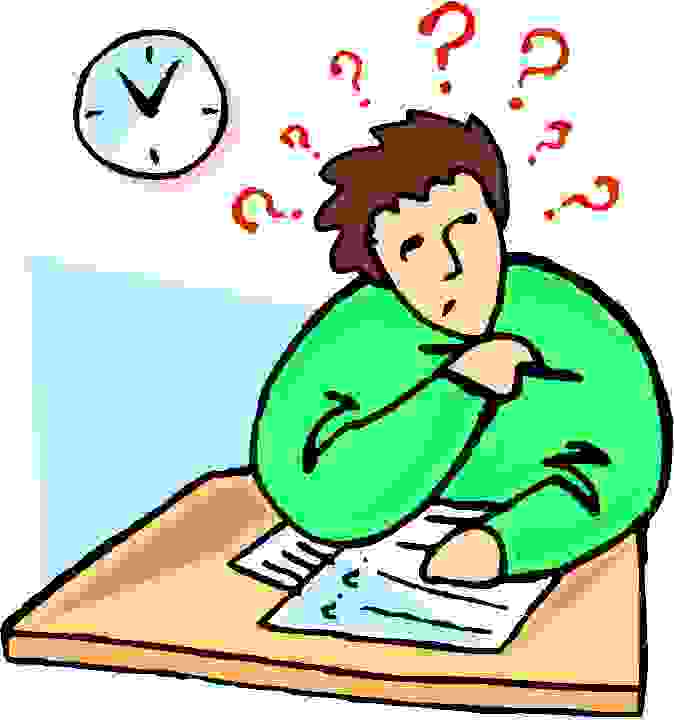 Here are the 3 most common mistakes that are committed when taking tests. Not practicing enough. Some test takers fall into the trap of merely reading and reading and reading some more. One important thing about taking tests is that you should actually do practice runs as much as you can. Nothing beats actually taking the test, but since you cannot take the NCLEX everyday, the next best thing is to do dry runs. Not following directions. This is a no brainer, really. Instructions/directions are there for a reason, and every teacher/reviewer will always emphasize the importance of following them. Sad to say, many test takers still fail to follow instructions. If you do one thing when taking the NCLEX, make sure you understand the directions and that you follow them to a T.
Second-guessing your hunches. There are people who tend to over think, and more often than not, this results in incorrect answers. You are not expected to be 100 per cent sure of your answers in the NCLEX, but if you find yourself over thinking an item, go with your hunch. Do you tend to make these mistakes? Take a step back and assess yourself. Knowing your weak spots might just help you jump this hurdle called the NCLEX. ALLGEN NCLEX Review offers unlimited access to online materials, which include practice tests. These tests will be very helpful in preparing you for the actual test! The Licensure Exam for Nurses in the Philippines is slated to occur on July 3 and July 4 of this year, and just like any other scheduled examination, the upcoming NLE is bound to be packed with countless hopefuls. In fact, numbers show that almost 100,000 individuals will be taking the NLE. The NLE is known to be a tough nut to crack, with many examinees needing to re-take the test. It is crucial, though, as passing the NLE is the first step for Filipino nurses to practice their profession legally. However, the NLE is just that – a stepping stone – for many Filipino nurses. There is a proliferation of nursing jobs in our country, but the supply of nurses is higher than the demand; hence the desire for many Filipino nurses to broaden their horizons by looking for jobs overseas. In order to be able to work in a foreign country, the United States, for example, a licensed Filipino nurse must pass the NCLEX first. There are many review centers offering NCLEX programs, and among the best is ALLGEN: The Intelligent Review. With our distinctive approach to learning, we’ve proven ourselves to provide our students with personalized instruction. Indeed, we can proudly say that we offer the best NCLEX review in town. To give you a taste of what we have to share, we are offering a one-day pass to this batch of NLE examinees! This one-day pass allows you to sit-in on a day’s worth of NCLEX review classes in our Ermita Office. Any NLE examinee is more than welcome to join us, and if you like what you see, you can enroll in any of our upcoming NCLEX review programs. On another note, we are also happy to announce that our Cebu branch is extending its services. More than NCLEX review programs, NLE review programs are going to be held at ALLGEN Cebu by August of this year. For more information on the Cebu branch, please visit our ALLGEN Cebu blog. The American Dream. That’s what numerous Filipinos hold on to. Even nursing students – perhaps especially nursing students – cling on to the hope that they can, one day, go to the United States to practice their profession and build a better lives for themselves. Time does change things, however, and today, it seems that Filipino nurses are looking to greener pastures than those that can be found in America. More and more Filipino nurses are now opting to work in the United Kingdom than in the United States, according to local recruiters. Citing data from the UK Borders and Immigration Agency, recruitment leaders yesterday said that the number of Filipino nurses deployed to UK in the past three years has already surpassed those deployed to the US in the same period. Data from the Philippine Overseas Employment Administration (POEA), on the other hand, showed that less than 300 registered Filipino nurses went to the US to work during the three-year period. While this is the current situation, things can quickly change in the near future. Experts in the field of nursing are quick to point out the Health Care Reform Bill, which the Obama Administration is pushing. With this bill in place, the United States is sure to need more nurses in a short span of time. In the next few years, the demand for nurses in the United States will open up far more possibilities for Filipino nurses, who are already known for their quality work. As such, there is no better time than now to prepare for this surge in demand! If nurses take the NCLEX now and get practical experience while waiting out the temporary slack, their chances of getting a job in the United States will increase exponentially. We at ALLGEN realize our role in helping you prepare for this. With our tried and tested NCLEX review program, we are confident that we can equip you with the best tools that can get you your dream nursing job in the US. ALLGEN’s NCLEX review program has received several awards – testimonies to its effectiveness. Why not make the best of this waiting period? Find out more about what we have to offer, and get the benefits of the best NCLEX review program you can participate in.